Two and a half years of discussions, research and filming have led to an hour-long, one-off observational documentary, to be broadcast on Thursday 22 February on BBC Two at 9pm. 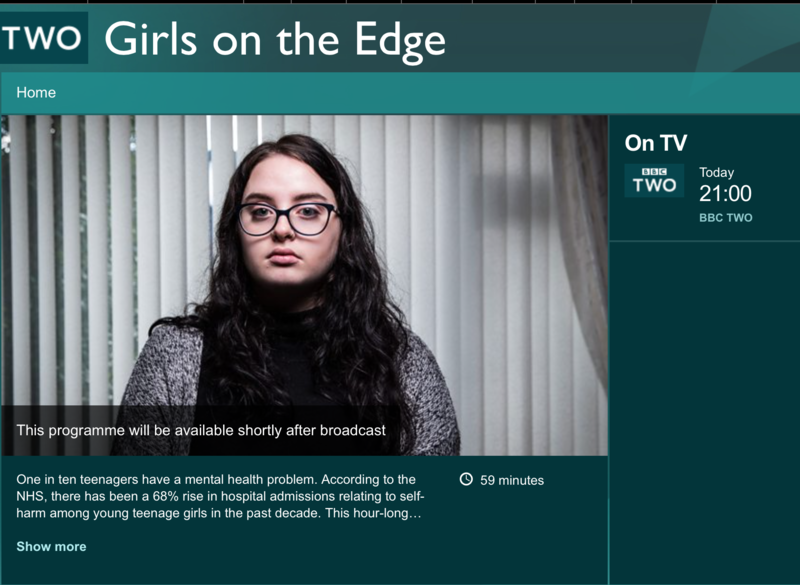 Entitled Girls on the Edge, the programme follows three families whose daughters have been sectioned under the Mental Health Act to protect them from harming themselves. The teenagers are all being cared for at FitzRoy House in Northampton. Were you pleased with the finished programme, and if so why? We were very pleased with the programme as we felt it allowed the young people the opportunity to share their experiences and difficulties and effectively conveyed how we as a service try to support them to progress towards their longer term goals, like successfully reintegrating into the community, picking up on their education and family life. It also allowed families to share the challenges in having a child in hospital. Of these, do you feel there is one area which was particularly important to portray in the programme? We felt it was particularly important to portray how timely interventions can help the young person to reach their full potential and the outcome which is meaningful for them. All the young people featured in the programme wanted to be supported to maintain their family relationships and regain independence as quickly as possible. It was important to communicate to young people watching who might be struggling with similar issues (and their families) a message of hope, that there is help available and they should seek support. The young people who took part in the programme wanted to share their stories to raise awareness of the issues facing many young people. How is the treatment of these young people changing? We are definitely seeing more referrals. This is likely a combination of the increased difficulties young people face (e.g. cyberbullying) and the pressures being experienced by community CAMHS services. - Find out more and watch on iPlayer.